Following their 2016 release American Moments, featuring music of Foote, Korngold and Bernstein, the Neave Trio returns with an enchanting new disc entitled French Moments – Fauré, Debussy, Roussel (Chandos CHAN 10996 chandos.net). Formed in 2010 the trio is comprised of a American violinist (Anna Williams), a Russian cellist (Mikhail Veselov) and a Japanese pianist (Eri Nakamura). Based in the United States, they are currently on faculty of the Longy School of Music of Bard College as Alumni Artists, Faculty Ensemble in Residence. French Moments features youthful works by Albert Roussel (1869-1937) and Claude Debussy (1862-1918) along with one of Gabriel Fauré’s (1845-1924) final works. Roussel’s Trio, Op.2 opens the disc with a barely perceptible rocking motif, waves gently reaching the shore, and gradually grows and swells into rollicking melodies and dramatic chiaroscuro. It was composed in 1902 while Roussel was still a student at the Schola Cantorum. Fauré had retired from a lifetime of teaching at the Paris Conservatoire two years before he wrote his Trio in D Minor, Op.120 and at the time complained to his wife that “The trouble is that I can’t work for long at a time. My worst tribulation is a perpetual fatigue.” This is not evident in the music itself however, which is full of life. A somewhat melancholy opening quickly dissipates into rising melodies and gently soaring spirits within the minor key context. There are moments of turmoil along the way, but the trio ends joyously in a lively scherzo-like finale. The Neave Trio is in fine form throughout, obviously thoroughly at home in this repertoire. It is easy to see why they continue to receive glowing praise wherever they perform. As part of its mission to “create new pathways for classical music and engage a wider audience,” the Neave Trio champions new works and frequently collaborates with artists of all mediums, participating in multiple award-winning productions with dance companies and filmmakers. Evidently “Neave” is a Gaelic name meaning “bright” and “radiant” – an apt moniker for this shining ensemble. The February 2018 issue of The WholeNote featured an intriguing cover showing two young men seemingly playing hockey with carbon fibre cellos, and an extended article about the cello duo VC2 comprised of Amahl Arulanandam and Bryan Holt (vc2celloduo.com). Sara Constant’s interview with the pair included discussion of their project Beethoven’s Cellists, which has now borne fruit in the form of a compact disc of the same name. The premise is that Beethoven’s colleagues were responsible for a number of design innovations for both cello and bow that have had a lasting influence on the instrument. Of particular note was Bernhard Romberg, and the disc opens with VC2’s very effective transcription for two cellos of Romberg’s Sonata No.1 in E Minor, Op.38. But the meat of the project is a number of newly commissioned works funded by Shauna Rolston Shaw, based in some way on Beethoven’s own writing for cello. The works featured on this disc are by Canadian composers Andrew Downing, Raphael Weinroth-Browne, Fjola Evans, Matt Brubeck and Hunter Coblentz, and draw respectively on Beethoven’s sonatas one through five. All of the composers are accomplished cellists and so the music is very idiomatic, but that’s about where the similarity ends. Each has a very different style and approach to the challenge and the offerings really do run the gamut. Very exciting and innovative additions to the cello repertoire performed with panache! I have often mentioned my connection with New Music Concerts and the fabulous opportunity it has provided for meeting internationally renowned composers and musicians. 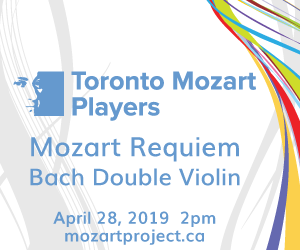 Last year our season began with the presentation of the Meitar Ensemble of Tel Aviv performing works of Israeli composers and of their French, now Canadian, composer-in-residence Philippe Leroux. Another composer who has an ongoing relationship with the ensemble is the Boston-born Amos Elkana, who grew up in Jerusalem before returning to the USA at the age of 20 for studies at Berklee School of Music and the New England Conservatory. He later studied in Paris before finishing an MFA at Bard College, NY. The album Tripp, which features chamber and solo works by Elkana performed by members of Meitar, has been released on Albany Records (TROY1718 amoselkana.com). Elkana’s music is, for the most part, abstract. For instance, the title piece is based on a series of numbers which is used as a fractal to generate the structure and the proportions within it, so that “the macro and micro levels have the same proportions. Exactly as it is in fractal geometry where zooming into a part of the whole reveals that it looks exactly like the whole. While searching for a title I googled the number series… and a zip code of a small town in South Dakota came up… Tripp.” None of this is evident to the listener, however, and we are presented with a challenging and contrasted work where each of the flute, clarinet, violin, cello and piano and various combinations thereof are featured in turn. This is followed by an intriguing work for solo violin and computer called Reflections. The computer, acting like a very sophisticated looping device, records the live violin performance and plays back and layers various segments at specified moments of the work through four speakers placed next to the performer on stage. The violin sounds are rarely processed and in most instances are hard to distinguish from the live performance. The effect is at times that of an ensemble of live violins playing in intricate counterpoint. It is very effectively achieved by Meitar violinist Yael Barolsky, to whom it is dedicated. The other works are for solo piano, solo clarinet, cello and electronics (recorded and processed spoken word), solo flute, and a minimalist celesta solo. An intriguing collection of smaller works by an internationally acclaimed composer whose orchestral scores have been performed by the Berlin, Israel, Slovak Radio and Jerusalem Symphony Orchestras, as well as the Warsaw Philharmonic. I recently read an article about the return of vinyl records and their sensual appeal – the physical pleasure of removing the large disc from its sleeve, the visceral appeal of dropping the needle onto the colourful vinyl platter, the warmth of the analog sound – and more or less dismissed it out of hand. I still have a functioning turntable, and several thousand LPs taking up space in my basement (and several dozen in more or less regular rotation in my living room), but I am not averse to digital technology. I don’t miss the clicks and pops so prevalent on vinyl recordings and I appreciate the high-end clarity of compact discs, and the convenient size and packaging of CDs. I suppose I will eventually come around to the convenience of streaming and download technology, especially as space becomes even more of an issue in my modest house – it’s already near the threshold – but I still prefer the full spectrum response of my stereo system over anything that my computer speakers or ear-buds can reproduce. That being said, it actually was a pleasure to open a parcel recently from singer/songwriter Jonas Bonnetta, driving force behind the folk-rock band Evening Hymns, and find a limited edition white vinyl copy of his latest project, All This Here (jonasbonnetta.bandcamp.com). It is lush, quiet and gentle music, to my ear reminiscent of Brian Eno’s ambient compositions of the late 1970s of which I was quite fond. So when combined with the technology, the music provided quite a pleasant nostalgic mood. And I was surprised to find how I was drawn in by the expanse of white revolving on the turntable, and by the fact that there were, at least thus far, no distracting surface flaws. Parts of the music were originally composed for the film Strange and Familiar: Architecture of Fogo Island produced by Site Media and we find pieces with titles such as Deep Bay, Fogo, Island Harbour, Little Fogo and Joe Batt’s Arm. Bonnetta combines subtle field recordings with haunting instrumental lines performed by Anne Müller (cello) and Mika Posen (violin), providing piano, synthesizer and electronics himself. It is a wonderfully warm and relaxing listening experience that I highly recommend. And by the way, the LP comes with a digital download card for those who prefer convenience. Projecting a similar aesthetic, although coming from a different background, Jason Doell’s debut CD “…amid the cannon’s roar,” (jasondoell.com) presents a series of interrelated chamber and solo pieces which explore “the tensions of being a Canadian settler artist who has inherited the brutal legacy of the British colonial project.” Featuring mid-career artist Rob Macdonald on guitar, junctQín keyboard collective, and some of Toronto’s finest young musicians – pianist/harpsichordist Wesley Shen, flutist Sara Constant, violinist Aysel Taghi-Zeda and cellist Amahl Arulanandam – the album includes the works “Our Lovèd Dominion Bless…,” “…we’ll do deeds to follow on our words…,” “And let our Empire be” and “…long to reign over us…” separated by three interludes called “casualties.” Neither the physical package nor the information sheet on the composer’s website give more detail about the concept of the album or the source material. The cover art – black and white representations of fireworks – in conjunction with the title, would seem to suggest some bombastic aspect to the music, but in fact it is something of the opposite of that: slow and contemplative in what I have come to think of as the “Arraymusic School” as reflected in the work of composers such as Linda Catlin Smith, Martin Arnold and John Mark Sherlock. Within this context, this is very thoughtful and introspective music, but there’s obviously a programmatic aspect here that notes would have helped to elucidate. That being said, Doell, who was the recipient of the 2014 Toronto Emerging Composer Award, has found his own unique voice and this disc provides a welcome introduction to his vision. Doell is currently the operations manager of Continuum Contemporary Music, an organization also known for fostering emerging composers. As we find out later on in this issue in Ted Parkinson’s review of the new Toronto Jazz Orchestra CD, Continuum’s former manager Josh Grossman, now the artistic director of the TD Toronto Jazz Festival, is also an accomplished composer in his own right. This all bodes well both for Continuum, and for the well-being of the Toronto music scene. We welcome your feedback and invite submissions. CDs and comments should be sent to: DISCoveries, WholeNote Media Inc., The Centre for Social Innovation, 503 – 720 Bathurst St. Toronto ON M5S 2R4. We also encourage you to visit our website, thewholenote.com, where you can find enhanced reviews in the Listening Room with audio samples, upcoming performance details and direct links to performers, composers and record labels.